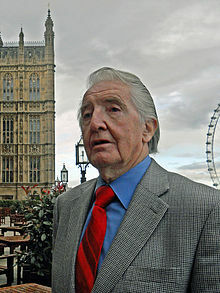 Dennis Skinner claimed about £5k on average for his annual travel expenses over the past few years and he voted in 91.04% of the debates in Parliament. This web site is a great mine of information on what MPs are up to and if they really are “working for you”. “The Beast of Bolsover” gives full value to his constituents. Meanwhile my MP, the Honourable Member for Amersham (where an Oyster Card still works), regularly claimed well over Dennis’ annual travel expense totals and voted in only 69.65% of debates in the House of Commons. Amersham Off peak Travelcard to Zone 1 costs £12.10, whilst an off peak return from Chesterfield (5 miles from Bolsover) to London with a Zone 1 travel card costs £113. Here he is at yesterday’s Prime Minister’s Question Time on top form. A Legend from the Old School. I wish Dennis was my MP.